Although Nathanael was not yet a student, he witnessed firsthand the quality of instruction Obioma received and the value of the program for her life and work. He believes the MASL program will help him accomplish his dreams of starting a nonprofit and so he enrolled in a cohort of his own. Nathanael joins more than 250 other students who have graduated or are active in the program at Life Pacific, part of a cohort model of learning that brings students together during two one-week residencies that build relationships and strengthen the personal application of the program. Angie says the retention rate in the MASL program remains consistent and is well above national averages. 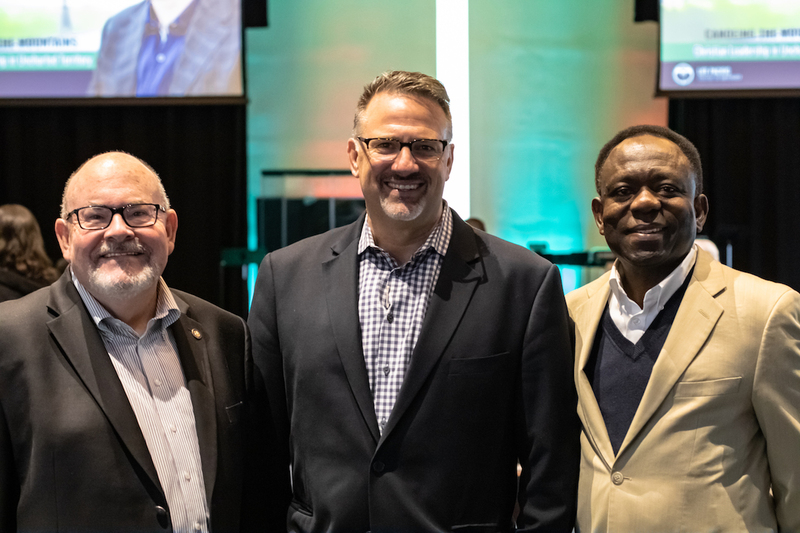 MASL Program Director Dr. Remi Lawanson says the strength of the program are the scholar-practitioners who serve as faculty and bring their executive leadership, ministry, entrepreneurial, business, and personal experiences to the classes they teach. 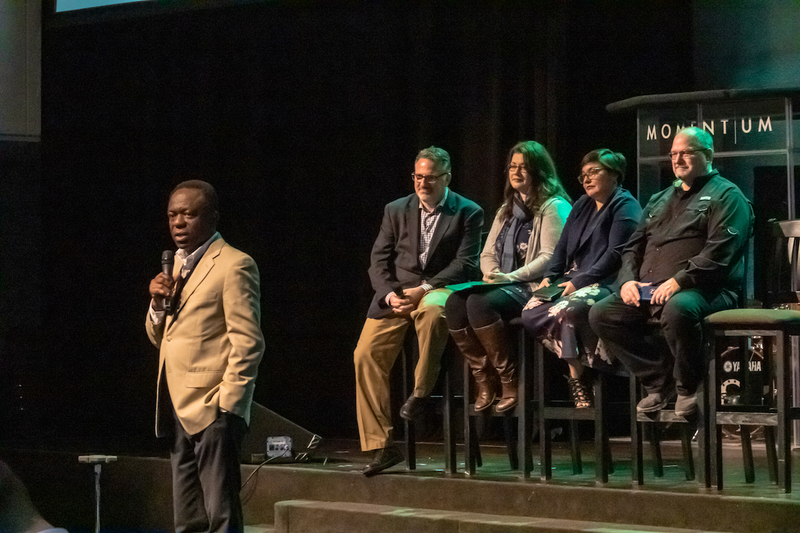 The goal of the MASL program is for students to become agents of transformation in their organizations, congregations, and communities in the U.S. and around the world. A new first year cohort met in January and includes international students from Nigeria, England, Malaysia, Canada, and Sri Lanka. “It is comprised of pastors, entrepreneurs, and leaders in nonprofit organizations, a medical doctor, a district supervisor, a Pacific Life Bible College (Canada) staff member, and more,” says Adult and Graduate Studies Admissions Counselor Linna Martz. Linna says the January 2019 cohort stands out as a praying cohort. “They bonded in a sweet way praying for each other and for the professors and staff,” she says. These prayer warriors will benefit from the bond they have made as they dive into life-changing learning - together. Romesh Bulathsinghala, a medical doctor in Sri Lanka, tried to work bi-vocationally sharing time between medicine and ministry. God was working through Romesh in the community to the degree that he felt compelled to devote all of his time and energy to spreading the gospel. Today, Romesh Bulathsinghala serves God in full time ministry as a pastor and supervisor of the Colombo District of The Sri Lanka Foursquare Church. His goal is to equip leaders to live for Christ and he believes the MASL program will give him the formal training and biblical foundation he needs for the task. Remi Lawanson appreciates the growing partnerships with churches, districts, and other organizations that see the value of promoting enrollment and providing scholarships for the MASL program. He welcomes inquiries about partnerships for new regional cohorts that will make the program more accessible for strategic leaders with a passion to develop their areas of ministry calling and vocational engagement.